The search for the best exchange website is not that easy. It has led us to different exchanges that are based all over the world. There are a lot of exchange websites out there today with a multitude of features, amazing deals, and referral bonuses, but one thing’s for sure, not all of them are great! Today, we will be looking into a website that is based in Canada. Come and join us as we explore Quebex.com! Let us know together their account verification levels (if they have any), what their website features are, and what to expect of them generally. Without further delay, let’s talk about that! The website was founded in 2016 and is fairly young compared to some of its competition in the international exchange scene. Quebex.com is a Canadian-based cryptocurrency exchange website with their main office located in Montreal, Quebec, Canada. What’s great is that the website is registered with Canadian authorities and follow strict local financial rules and regulations. To create an account with them, we obviously need to head on to their website and click “Register” to start the creation process. 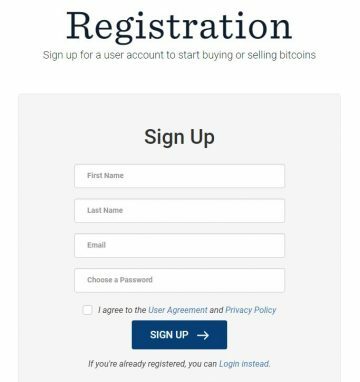 To register, users are asked for their name, active email account, and password for the new account that is going to be created with Quebex.com. This is where it gets hard for people that are not from Canada or U.K. since they will ask for a local phone number from either of the two countries. Without a phone number from the mentioned countries, an account cannot be verified. Not all websites have an affiliate program that a verified customer can take advantage of! This is true since a lot of people would rather create an account on a website that has one. Why? Well, simply you get some of your money back by referring friends and family to create and trade with them. Here at Quebex.com, the affiliate reward isn’t that huge but is still worth your time. What’s interesting is that they do not need to have your referred person spend money to get the referral bonus of CAD $10.00! They will credit it instantly to your account as soon as they have verified that the user is above 18 years old, of course, a Canadian citizen, and a good fit for their website (this must have something to do with verifications). Compared to some websites that wait for your referral to spend money, here you get it as soon as your referred friend passes their standards. How do you refer a friend? The referral program is only good for registered account holders, so create your account now! Here at Quebex.com, they offer BTC, ETH, and LTC transactions to users that have verified their account properly. Since we do not have a verified account on the website, we are unable to show you guys a preview of what their exchange platform looks like. For our readers that have a fully-verified account with Quebex.com, please do let us know your experience with using their services. Good thing that even if we are unable to get a verified account to use and explore their exchange platform, the numbers that we need are still accessible even with the restrictions. For buying and selling, 1% Fee is applicable for any BTC, ETH, and LTC that is being traded on the website. 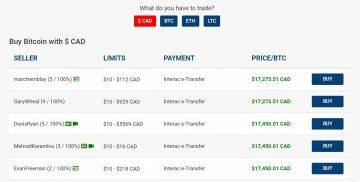 There are no fees for trading any CAD balance. The complete fee schedule for every transaction made on the website can be read here. Judging by the available currencies that run their market, they accept BTC, ETH, and LTC deposits/withdrawals as well as CAD transactions as well. Since we are unable to look into their account page, numbers that involve deposit and withdrawal fees for CAD cannot be provided. What we are able to provide is their cryptocurrency fees for deposit and withdrawal. BTC transaction fees as mentioned on their fees tab is usually between BTC 0.001 up to 0.005 for outgoing transfers. They also mentioned that this can easily depend on the current rate of BTC. They also charge deposit and withdrawal fees for ETH which ranges from CAD $0.03 up to $0.50 per transaction. For LTC deposits and withdrawal, a fee of LTC 0.01 up to 0.05 is charged. We have endlessly talked about how important customer service is when it comes to Exchange websites and we still continue to do so. We looked into Quebex.com, a Canadian-based exchange website and confirmed that they do have an email customer support channel and a phone number which can be contacted at (888) 661-3358. Their complete address is at Quebec Fintech Inc., 3715 Boul. St-Laurent, Montreal, Quebec, H2X 2V7, Canada. Overall, the website isn’t that bad at all. The only thing that we found out that is worth mentioning would be their market prices for BTC and the other cryptocurrencies they transact with. But compared to other region-based exchange websites today, Quebex.com offers a regular rate which is normal for this type of exchanges. If you get a region-based exchange and compare it to an international one, then, of course, you will get more “bang for the buck” if you go international. The only reason why people choose region-based websites is due to the withdrawal options that are easily in their favor. If you guys are from Canada and are looking for a local BTC exchange website then why not try this out? In addition, we would like to call the attention of readers that have an active account with Quebex.com and share some of your thoughts on the website in the comment section below.